There's No Need to Stare at Your Computer All Day... Learn How ﻿﻿To﻿﻿ EARN A Consistent DAILY Income In The First Hour of Trading! When was the last time you ﻿﻿﻿﻿saw﻿﻿﻿﻿ ﻿﻿﻿﻿a﻿﻿ strategy this consistent? 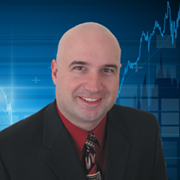 The ﻿﻿﻿﻿Opening Bell Income Strategy﻿﻿﻿﻿ is﻿ ﻿the Way to TRADE SMARTER in Today's E-Mini Market! 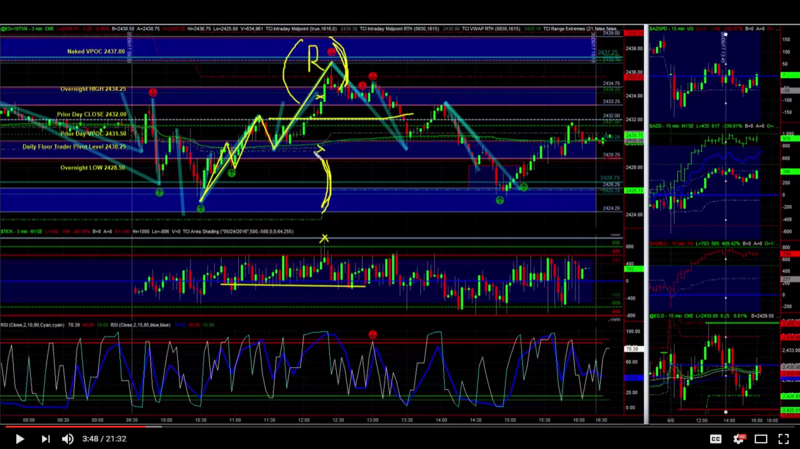 These Strategies Are Working ﻿Fantastic ﻿in Today’s E-Mini Futures Market & Will Provide YOU with the Knowledge & Skill Set You Need to EARN a Consistent Income in the First Hour of Trading. This program is for (day) traders like you﻿ ﻿looking to make a Consistent DAILY Income… even if you have a full-time job & trade a small account. You WILL learn how to safely & predictably profit like the professionals. How Much Money Is Possible to Make Trading The Opening Bell Income Strategy? Our primary objective is to teach you consistency by showing you how to make a consistent daily income using smart strategies for maximizing your profits and reducing your losses (ensuring your results remain consistent). As you increase your consistency and account size, We'll show you advanced techniques for trading multiple contracts and increasing your goal even more to make even more money. YES… ABSOLUTELY! 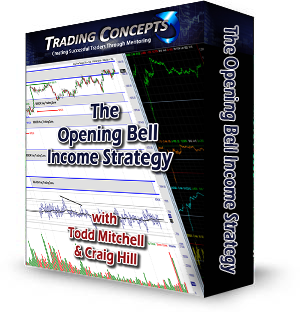 Not only will you receive the complete Opening Bell Income Strategy course A to Z, but you’ll also get access to the Opening Bell Income Strategy DAILY (OBIS DAILY) where, each morning, before the market opens… you’ll receive Craig’s Pre-Market Analysis and Key Trade Zones. At the end of each trading day, join Craig and other traders, like yourself, for a LIVE Market Video Recap and LIVE Q&A Coaching Session. During this time, Craig will walk you through the trades that set up during the trading day and how to apply the trading tactics and strategies that you’ll be learning in the Opening Bell Income Strategy. In addition, you’ll have access to over 3 years of archived instructional videos and historical charts. With everything you get... it would be near impossible to fail! You can access the OBIS DAILY for FREE when you PARTNER with US right now! We want to ﻿﻿﻿help﻿﻿﻿ you eliminate any confusion that you may have about reading and understanding the ﻿﻿﻿market﻿﻿﻿ so that you can confidently pull the trigger and execute your trades. Our goal with the ﻿﻿﻿﻿Opening Bell Income Strategy DAILY﻿﻿﻿﻿ ﻿﻿﻿Pre-Market Analysis & Key Trade Zones﻿﻿﻿ with ﻿﻿﻿﻿﻿DAILY LIVE Market Video Recaps﻿﻿﻿﻿﻿ and ﻿﻿﻿﻿DAILY LIVE Q&A Coaching Sessions﻿﻿﻿﻿ is just that... and to help you accelerate your learning of the ﻿﻿﻿﻿﻿Opening Bell Income Strategy. Every morning Craig does his homework in preparation for the trading day! He performs his ﻿﻿﻿Pre-Market Analysis﻿﻿﻿ and determines his ﻿﻿﻿Key Trade ﻿﻿﻿Zones﻿﻿﻿.﻿﻿﻿ Determining accurate ﻿﻿﻿Key Trade Zones﻿﻿﻿ for the trading day ahead is vital for pinpointing high probability entries and exits and provides﻿﻿﻿ ﻿﻿﻿for better reward-to-risk trades. As a member of the ﻿﻿﻿﻿﻿﻿﻿﻿Opening Bell Income Strategy DAILY... we do all of the heavy lifting! Each morning, you will receive a chart of Craig's Key Trade Zones before the market opens (TradeStation users can download Craig's workspaces directly from the members area). By following along, each morning, you will learn a systematic approach for coming up with your daily routine so that you’re more ﻿﻿﻿prepared, disciplined, and consistent.﻿﻿﻿ You’ll also learn how to come up with potential scenarios that are likely to play out during the trading day. You want to do this before the market opens so that after the opening bell… your main focus is trade execution! Be Coached DAILY, Step-by-Step, through each Trade Set-Up ﻿& Learn Exact Entries, Stop Placement, Profit Objectives, & Complete A to Z Trade Management that Will Allow YOU to Learn, Think, Act, & Execute Like A Professional Trader! 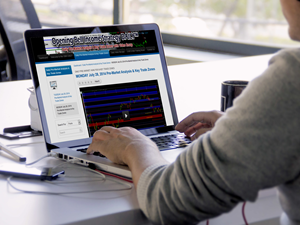 Each OBIS DAILY LIVE Market Video Recap is crammed with trading education. You'll see Craig's charts, where to enter trades, where to place stop losses, how to manage trades, and where and when to take profits. Furthermore, he will talk you through this entire process. You ﻿﻿hear﻿﻿ why trades are taken and why other trades are skipped – just as if you were “inside his head.” During the OBIS DAILY LIVE Q&A Coaching Session, you can ask any question you want and all your questions will be answered. DAILY Market Video Recaps (we meet on-line each day Monday through Friday at 4:00pm ET) to go over the day’s price action and trade setups providing you with even more insight and continued education so as to help reinforce and expedite your learning of the Opening Bell Income Strategy. The Opening Bell Income Strategy Combined with the OBIS DAILY Gives You Everything You Need To Generate Daily Income… Consistently! UNLIMITED Access to the Opening Bell Income Strategy Private Members Portal - The Opening Bell Income Strategy is delivered ONLINE! You’ll get 24/7 access to over 15 hours of video instruction and group coaching session Q&As where we explain everything, in great detail, including TONS of actual trade setups, entries, exits, and trade management examples so you can easily see how to apply these trading strategies. Everything is disclosed and there's nothing held back. The Opening Bell Income Strategy is a 3-hour and 40-minute recorded video tutorial (including a PDF for you to download and follow along with the video, take notes on, or reference) with detailed step by step video instruction of actual trade setups... including entries, exits, and trade management examples. This training comes with 4 pre-recorded “look over my shoulder” LIVE Trading Days and 7 pre-recorded LIVE Q&A Group Coaching Sessions to help you further accelerate your learning & real-world application! No more guesswork! It's all very clear and concise and, more importantly, easy for you to apply immediately! UNLIMITED Personal Email and Phone Support – We're here to help you every step of the way! If you have any questions about the Opening Bell Income Strategy, just give us a call or email us; after all, that's what we're here for... to help YOU become a consistently profitable E-Mini futures (day) trader! Access to the OBIS DAILY - Depending on which Option you choose (1 Month or 6 Months)... you'll get immediate access to the OBIS DAILY Members Portal, an archive of over 3 years of video instruction and historical charts. 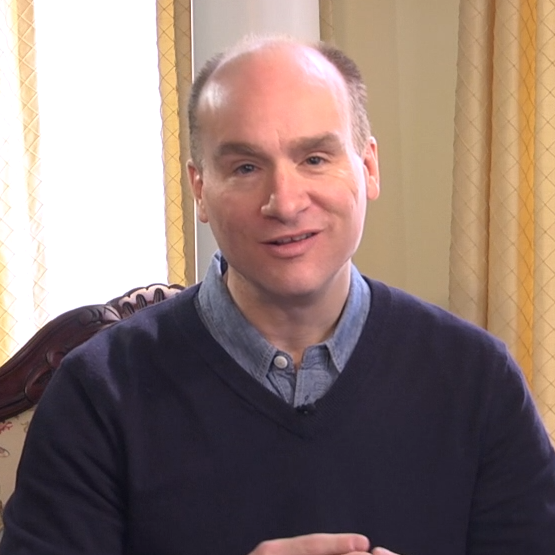 Each morning, you’ll receive Craig’s Pre-Market Analysis and Key Trade Zones and at the end of the trading day… join Craig and other fellow traders for the LIVE Market Video Recap and Q&A Coaching Session. It’s practically one-on-one mentoring! The Opening Bell Income Strategy ﻿﻿& OBIS DAILY were created to help the average retail (day) trader, just like you, generate consistent daily income with low risk per trade. 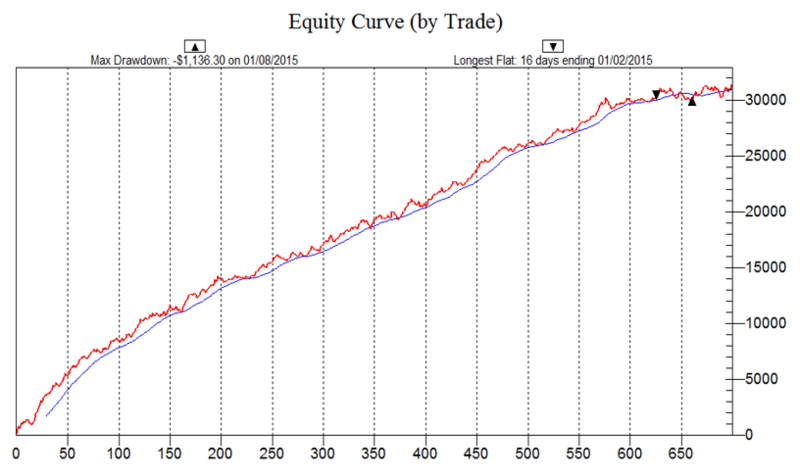 It uses the same time-tested, proven trading strategies that professional full-time traders use. At This Time ONLY 35 Traders Like YOU Will Be Accepted… So Don’t Miss Your Opportunity To PARTNER With Us! 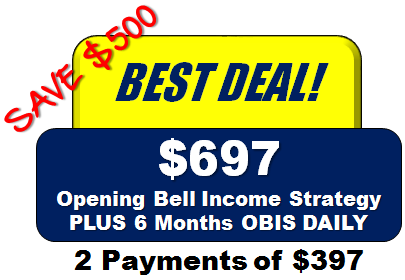 Enroll in the Opening Bell Income Strategy & OBIS DAILY Today! Act now and get instant access to the Opening Bell Income Strategy Mentoring Program before all 35 PARTNER membership slots are taken. 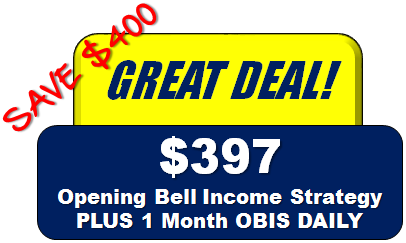 Enroll In the Opening Bell Income Strategy & OBIS DAILY For This LIMITED ONE-TIME Offer Before All 35 Spots Are Taken! Alright, there you have it… if you have any further questions, please feel free to contact me at todd@tradingconceptsinc.com or Craig at craig@tradingconceptsinc.com. With everything you get... combining the Opening Bell Income Strategy with the OBIS DAILY... it would be near impossible to fail! Craig and I would love for you to PARTNER with us :-). Copyright © 1994-2017 Trading Concepts, Inc.